Solutions Review analyzes the top 6 enterprise SIEM capabilities; we explore what they offer, how they interact with each other, and why your business needs them. Cybersecurity continues to move away from a prevention-based model to a detection-based model. Therefore, detection-oriented SIEM takes special prominence in next-gen cybersecurity strategies; only SIEM can provide the threat detection, remediation, intelligence, and investigation capabilities necessary to enterprises’ digital survival. Yet recent studies indicate enterprise neglect concerning the necessity of SIEM. AT&T Cybersecurity determined in a recent study over half of enterprises rate their threat intelligence and threat detection as only average or worse. Enterprises cannot afford to ignore these crucial capabilities. Also, enterprise SIEM capabilities prove necessary to cloud adoption and digital transformation efforts, as it can handle the security demands of more the decentralized and porous IT environment. Of course, these enterprise SIEM capabilities do not encompass the full offerings of a SIEM solution. We aim to help guide your thinking in your IT decision-making and help you select a strong, next-gen solution to improve your cybersecurity. SIEM allows your enterprise to reap the benefits of multiple different threat intelligence feeds. Threat intelligence refers to organized, analyzed information on potential and current cyber threats attacking enterprises. With this current information, you can form more effective cybersecurity strategies. Additionally, threat intelligence supplements your threat detection and education efforts. On the threat detection front, SIEM can help you monitor your web traffic and analyze it to detect known malicious threats. Furthermore, it can assist in detecting threats in emails, cloud resources, application, external threat intelligence sources, and endpoints. Another layer of SIEM threat detection is user and entity behavior analytics (UEBA). UEBA provides visibility into behaviors and activities, looking for abnormal variations which could indicate a threat. In cybersecurity, “you cannot protect what you cannot see” serves as the common refrain. You should have visibility into all the data storage nodes in your enterprise. However, this proves no mean feat. Each department and component of your enterprise needs its own data storage policies to perform its roles optimally. Obviously, more databases and data storage nodes mean more trouble aggregating data and possibly diminishing your overall visibility. Deploying enterprise SIEM capabilities can help your enterprise improve both your overall data storage visibility and its data storage configuration. The latter proves especially important; numerous breaches stem from misconfigured data storage nodes or buckets. Log Management serves as the core of enterprise SIEM capabilities. Indeed, Log Management distinguishes SIEM from other cybersecurity solutions, corresponding to next-generation antivirus in Endpoint Security and authentication protocols in IAM. Data Aggregation: Applications and databases generate huge amounts of activity log data every month. Moreover, this log data flows from all areas of the IT environment; this creates a significant challenge in collecting and compiling the data in a centralized location. This log data may contain critical information on potential security events. However, if it remains scattered across the enterprise network, analyzing the data proves impossible. Thankfully, SIEM helps collect the log data and aggregate it in a centralized location. Data Normalization: While every application and database generates data, they may format the data differently. In disparate formats and mediums, processing and analyzing the data proves impossible. Enterprise SIEM capabilities provide data normalization, which allows for easy analysis and correlation. Data Analysis/Security Event Correlation: Once the SIEM solution compiles and normalizes the log data, it can process it for any security events. SIEM can correlate between security events in different databases and applications, determining potential signs of a data breach or dwelling threat. Once SIEM determines a security correlation (as determined by an enterprises’ correlation rules), it can send your IT security team an alert for follow-up investigation. 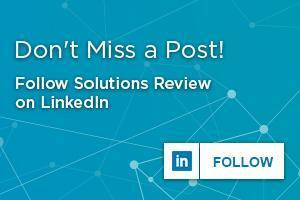 This contributes to your enterprise’s response time in detecting, containing, and remediating digital threats. Obviously, improving your response time reduces the impact of dwelling threats. Otherwise, these threats could linger on your network for months wrecking damage. Unfortunately, false positives serve as one of the potential downsides of security alerting capabilities. Security alerts depend on automated analysis based on its machine learning correlation rules. However, these rules are written by your IT security team; without proper evaluation and maintenance, your alerts could overwhelm your cybersecurity strategy. In other words, if the correlation rules fed to your SIEM don’t match with everyday work processes—or if an abnormal but innocent activity occurs—the solution can create a false positive security event flagged for investigation. False positives place a substantial burden on your IT security team, forcing them to waste time and resources in an investigation. Potentially, false positives can contribute to cybersecurity burnout through sheer volume. One of the key enterprise SIEM capabilities, contextualization takes some of the investigative burdens off your IT security teams. It provides groundwork on incoming security alerts by supplying relevant supplemental information associated with the security alerts. This can include users, enterprise network areas, geographic location of users, time of activity, etc. With this information in hand, your security team can determine the alert’s authenticity, allowing for easier prioritization and thus less strain. While perhaps not the most significant of the enterprise SIEM capabilities listed here, compliance still matters. Most industrial and governmental regulations require some degree of log compilation and normalization; all of them require reporting. SIEM offers enterprises an easy way to achieve compliance through out-of-the-box reporting templates. In fact, SIEM can help enterprises achieve major regulatory mandates such as HIPAA. Deploying enterprise SIEM capabilities on your IT environment may appear complex on the outside. However, with these capabilities, you can enjoy the benefits of a far more secure and ultimately profitable digital network. Now’s the time to start investigating how to incorporate these capabilities into your cybersecurity strategy. 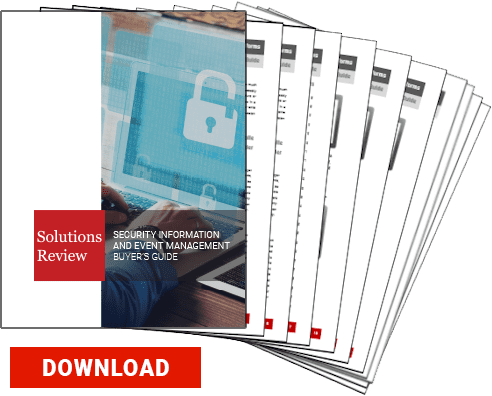 To learn more about SIEM, be sure to check out our 2019 SIEM Buyer’s Guide.